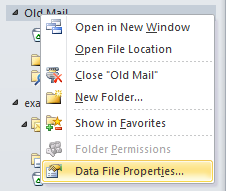 The first step you will need to take is to determine if you are currently using any local folders with outlook. 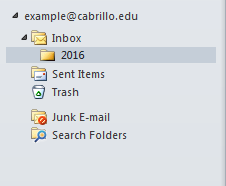 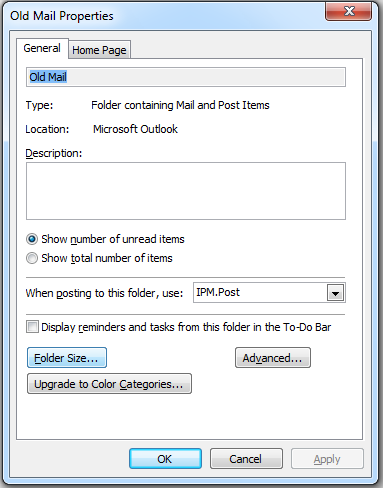 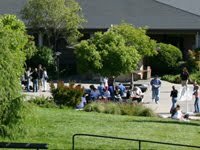 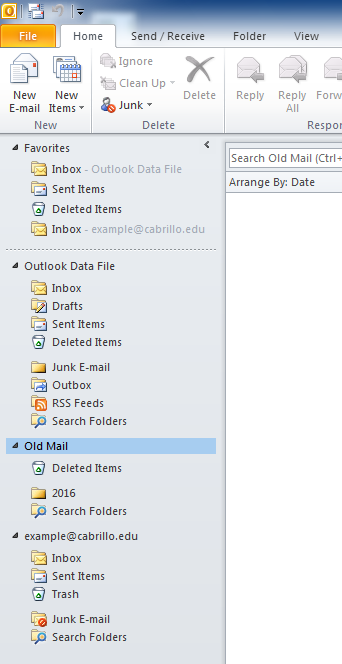 In the screenshot below, the Outlook Data File and Old Mail folders are local folders and if any emails were in them they would need to be uploaded back to the example@cabrillo.edu user's folder for email migration. 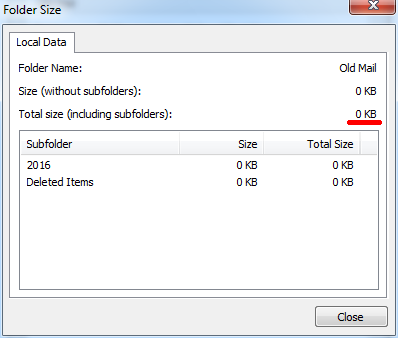 The size of the folder that is underlined in red is the folder size that you will need to let IT know you will need your quote to be increased by. 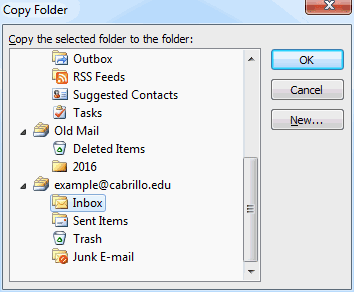 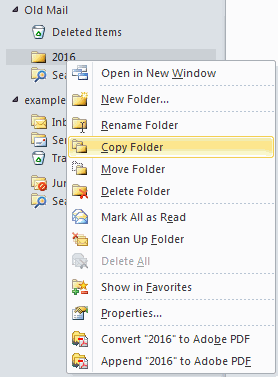 When the copy has completed the folder and emails that were selected will appear under the previously selected folder.